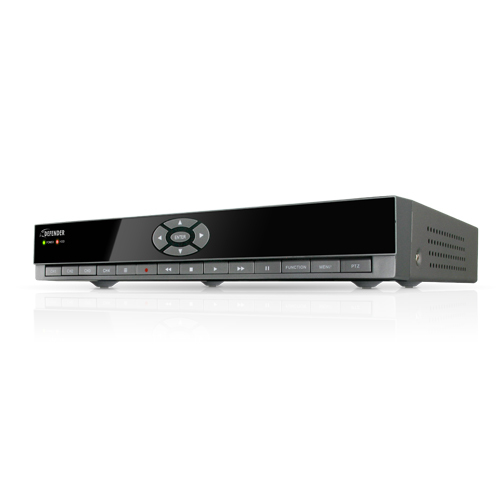 The Defender SN502-4CH is a complete DVR security system that has all the latest features, yet is very easy to use. It has been specifically designed for do-it-yourself applications. 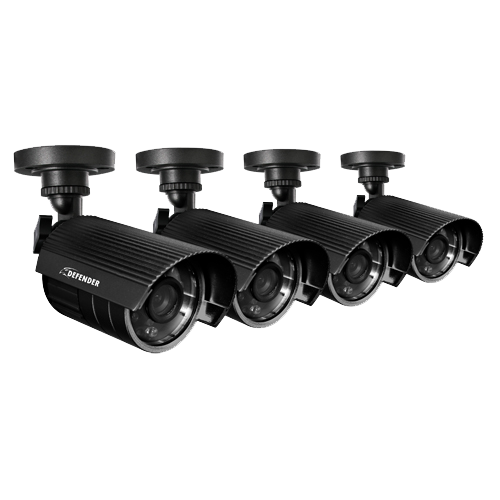 This kit includes a four channel DVR with built-in hard drive, four indoor/outdoor night vision cameras, and all accessories needed to start monitoring your property immediately. Setup is fast and hassle-free because everything you need is included and an interactive coaching menu helps you along the way. Industry-leading features like Smartphone access and H.264 compression help you maximize the system and achieve a high level of protection. Helpful information bubbles will pop up to assist you as you scroll through different settings. Learn what each setting means so that you can configure the system to suit your needs. The 500GB hard drive is optimized for 24/7 surveillance and uses cutting edge H.264 compression to record over a month of video. Set to record in real time, your footage will stream flawlessly during playback. Access live footage of your home or business online, anytime and anywhere. Using a smartphone, tablet or computer you will always be able to see what you otherwise may have missed without your Defender Smart Security System. Whether you are around the block or around the world, you will always feel in control. Cameras come equipped with 11infrared LEDs that activate automatically, allowing you to see any monitored area up to 15ft away in total darkness. You will always be able to see what is happening in your yard or at your business after-hours. Regardless of your location, you can view your DVR’s live or recorded video footage on any internet accessible PC with Internet Explorer®. See what is happening on your property and check in on your employees or family members. Picture-in-picture allows you to view one camera in full screen and two other cameras of your choice in smaller windows simultaneously. You can also watch all four cameras at once in quad screen mode or cycle through each camera in sequence mode. Four high quality color cameras provide you with a clear and consistent picture at 400 TV lines of resolution. They allow you to better distinguish facial features, which can help in the positive identification of individuals. The cameras can be used indoors and outdoors and each one is built with professional grade aluminum housing and a sunshade to help prevent glare, deterioration and rusting. A built-in USB port gives you more options when backing up and transferring your video footage with a USB flash drive or external hard drive. You can also connect to an external CD/DVD writer directly to your DVR and burn your footage to a disc. Advanced motion detection settings ensure that false alarms are not triggered while the easy motion detection mask allows you to block out areas with constant movement. Navigate through the menu with ease using the included USB mouse, the front panel of your DVR or the convenient IR remote control. Set a password to prevent unauthorized users from viewing your footage or changing any of your DVR settings. Choose which days of the week and hours of the day you want to continuously record, motion record, or stop recording. Each individual camera can even have a personalized weekly schedule. Simply choose the desired date and time range and the requested video clips will appear. Clips are also labeled by event, which makes it easy to find particular footage. The included 60ft camera wiring gives you flexibility in the installation of your cameras and allows you to increase each camera's range. If you require additional 65ft cable lengths, you can purchase the 21007 extension cable. The single wire also conveniently carries both the power and video signals, so you are only running one wire per camera (maximum 180ft of cabling per camera is recommended).